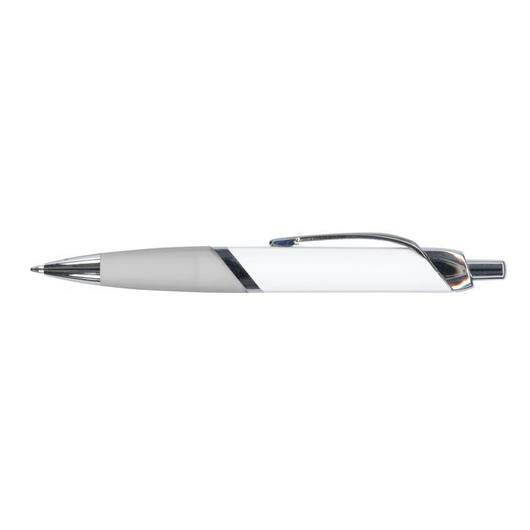 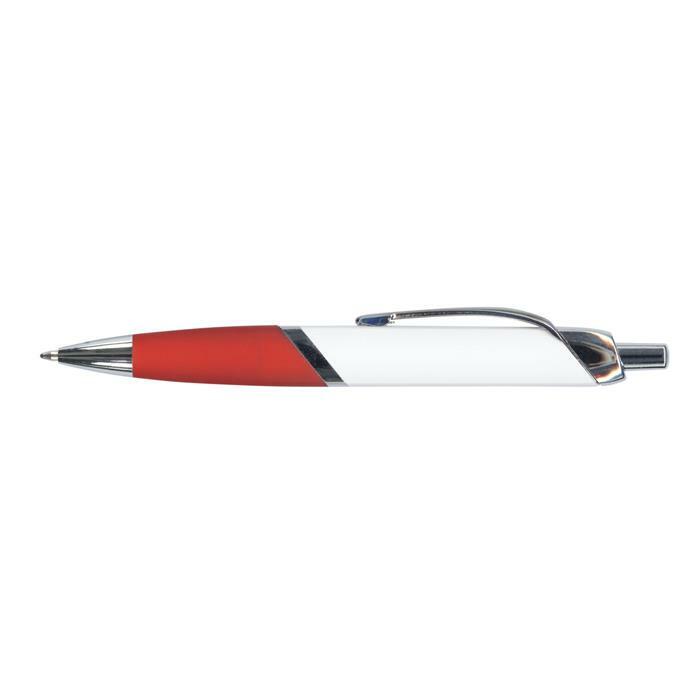 An eye-catching vibrant pen that has a white barrel and brightly coloured grips. 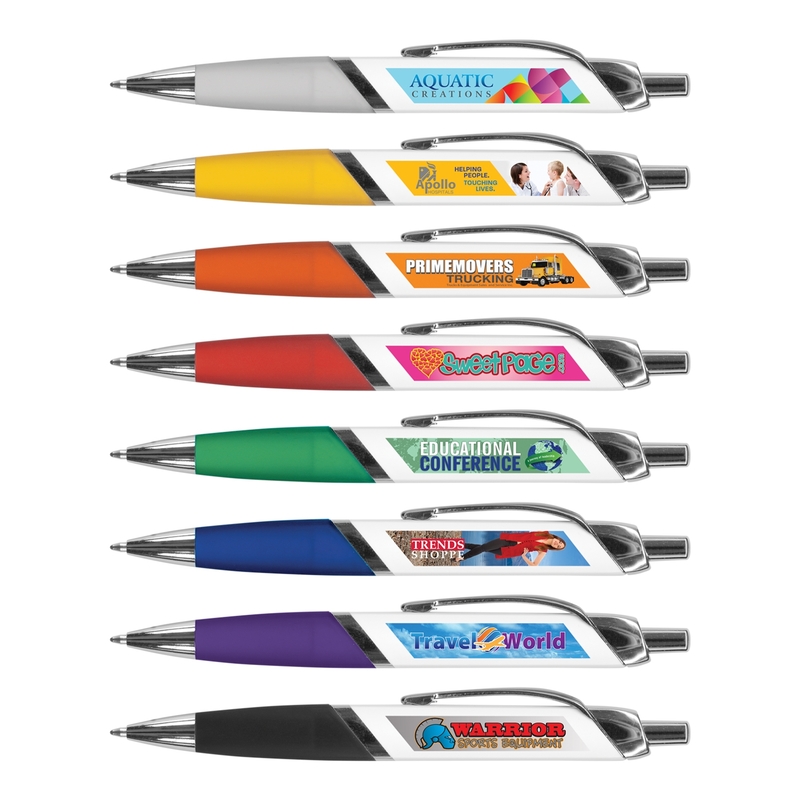 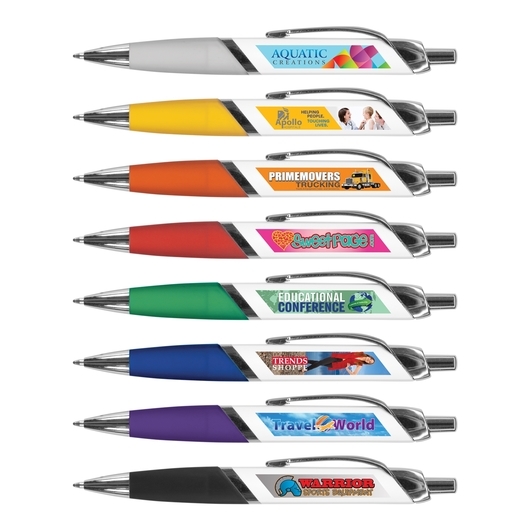 The perfect fit for your next set of promotional pens! 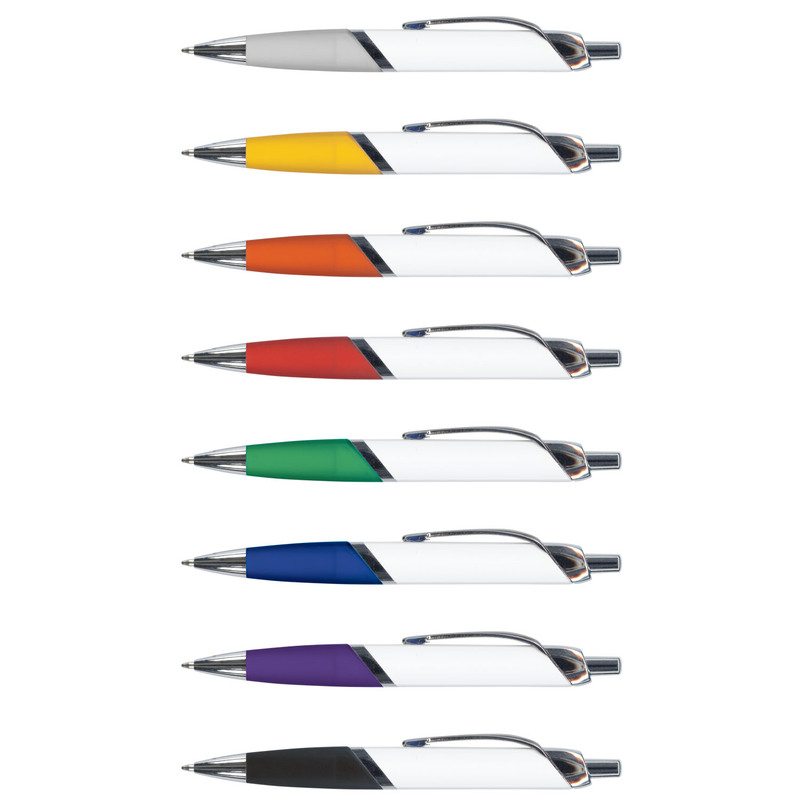 These have a white barrel, frosted translucent soft touch rubber lacquered grip, shiny chrome trim and are made from plastic and metal. 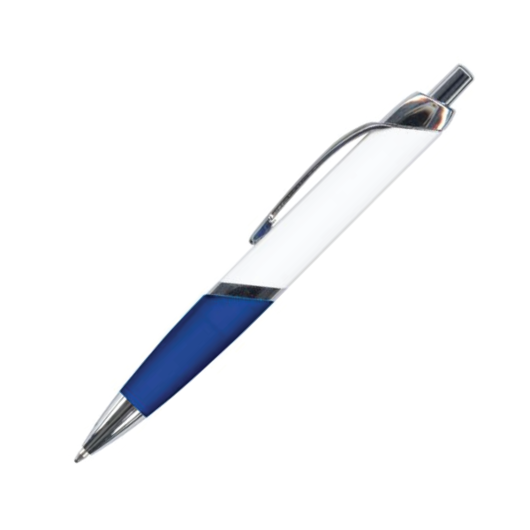 They come with a large 1800m black German ink refill and house a tungsten carbide ball for improved writing quality. An eye-catching choice that can be branded in full colour on both sides of the barrel.